Rudy Choiruddin has worked in food business for more than thirty years. His mission now is to reintroduce old-school cuisine of Indonesia in nowadays foodservice business. “One of Indonesian old-school cakes is proll tapai. This cake is categorized as hard cake. The mixture is thicker than other types of cake mixture and results in a dense and solid cake. For its density, cake’s stuffing such as fruits and nut is mixed into the mixture instead of layered after the cake is baked,” explained Rudy. Rudy uses dried fruit in this cake for its long shelf life. With high amount of sugar and the right emulsion process, this cake can be lasted for two weeks. “We can use fresh fruit as well, but the result will be better if we use fruits with crispy texture such as apple and pear. With the right emulsion of sugar, butter, and egg, water content in the fresh fruit won’t affect texture of this cake. The cake will only be lasted for one week, though,” said Rudy. Rudy also said that it is important to use butter and cream cheese with good quality. Besides affecting the taste, texture, and fragrance, it will also affect the cake’s shelf life. 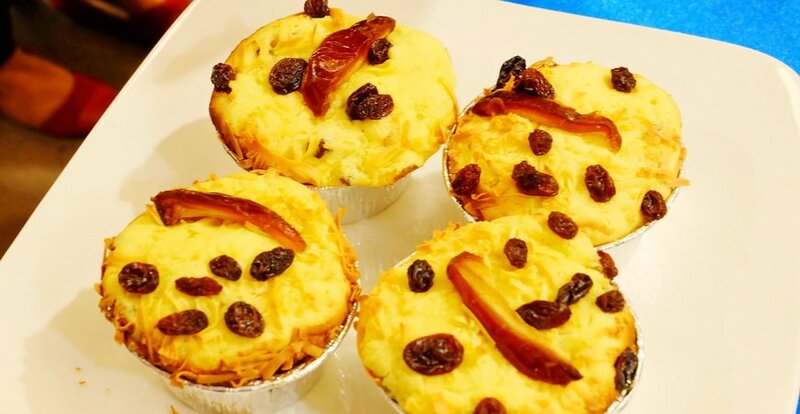 Proll tapai is a classic Indonesian cake with Dutch influence in it. Now this cake is getting hard to find in the cake shops, but now you can make it on your own. Be creative and you can even sell it in your bakery and restaurant! 300 grams medjool dates, cut lengthwise. 2. Whisk butter, cream cheese, and sugar until it’s white and fluffy, add egg one by one until it’s blended. 3. Add tapai and milk, stir until tapai crushed and the mixture smooth evenly. 4. Sift flour and baking powder, add them to the mixture. 5. Add lemon zest, stir evenly. 6. Add 250 grams medjool dates and 75 grams green cherries or raisin, stir. 7. Transfer the mixture into the tray covered with parchment paper and dusted. 9. Blend the glazing ingredients with mixer until smooth. 10. After 45 minutes, remove the cake from the oven and let it cool down. 11. Glaze with the mixture. 12. Cake is ready to serve.